In a single YouTube video, Hobo Johnson and the LoveMakers have entered the limelight, and in doing so, have become the unconventional soundtrack for the doubts, anxieties, and pains of modern romance. In the wee hours of weekday nights when I find myself particularly restless, I fall down the rabbit hole that is YouTube. What starts out searching for familiar artists and music videos quickly shifts to the unknown, and then, sometimes, falls off the rails altogether, and I land on something truly bizarre, confounding, and strangely… satisfying. Most times, the flavors of artists such as these are often too harsh, bitter, or sweet to propel me to weigh in. Like a fine wine, I let time round out these sounds until it may become something more palatable. But there are also times when I hear something truly inexplicable, and beyond all rhyme and reason I think to myself: For some reason, this is nice. 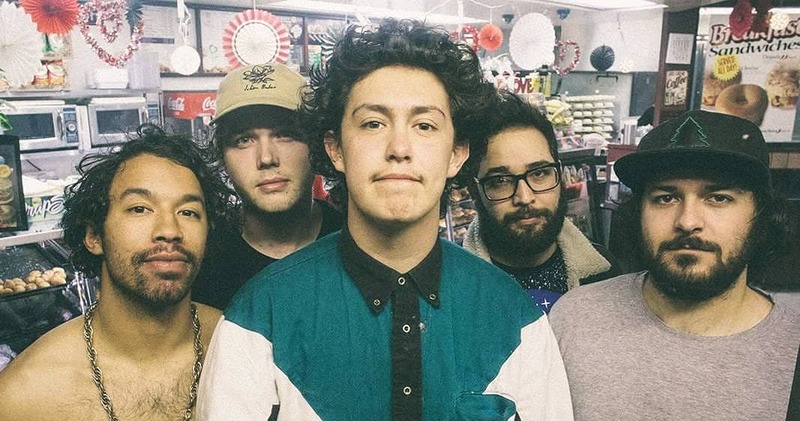 And to say I was perplexed when I first stumbled onto Hobo Johnson & The LoveMakers‘ submission for NPR’s Tiny Desk Contest is an understatement. It was hard not to see a white guy with a mangy, fro-like haircut, a shadow of a mustache, and a culturally appropriated button-up with, of course, the top button done up, and not think that I was about to see yet another musician joining the ranks of Lil Dicky, Watsky, and the rest of that infuriating ilk. But after watching Johnson’s rendition of a song called “Peach Scone” (many, many times), I realized that it would be unfair to rope him in with that crowd. One of the principle reasons that the 23-year-old is separated from these so-called rappers is because he doesn’t even consider himself a rapper in the first place: “Oh yeah my name’s Hobo Johnson I’m a rapper / I’m actually not a rapper, I like to say a musician / I play guitar sometimes too I’m just not as good as Derek,” he says between lyrics. But for all intents and purposes the Sacramento-based musician should be considered a spoken-word artist. Many in the comments sections of his videos have taken to labeling Johnson as a “poetic-style” rapper, but I am of the opinion that terminology is not only synonymous with spoken-word, but also a redundant way of stating the obvious because let’s be honest, all rap can be considered poetry set to music in one way or another. Oh, you got a man? Are you in love? If so, what type? Lyrically, Johnson’s ability to change the rhyme scheme at the drop of a hat is probably the most captivating part about him. He often leads listeners on rhythmic routes only to end those evolutions with words that don’t. Coupled with Johnson’s wavering voice and erratic movements, these moments add extra pause and emphasis to his emotional vulnerability to the degree that is almost, dare I say, compelling? There is a history behind his neuroticism. 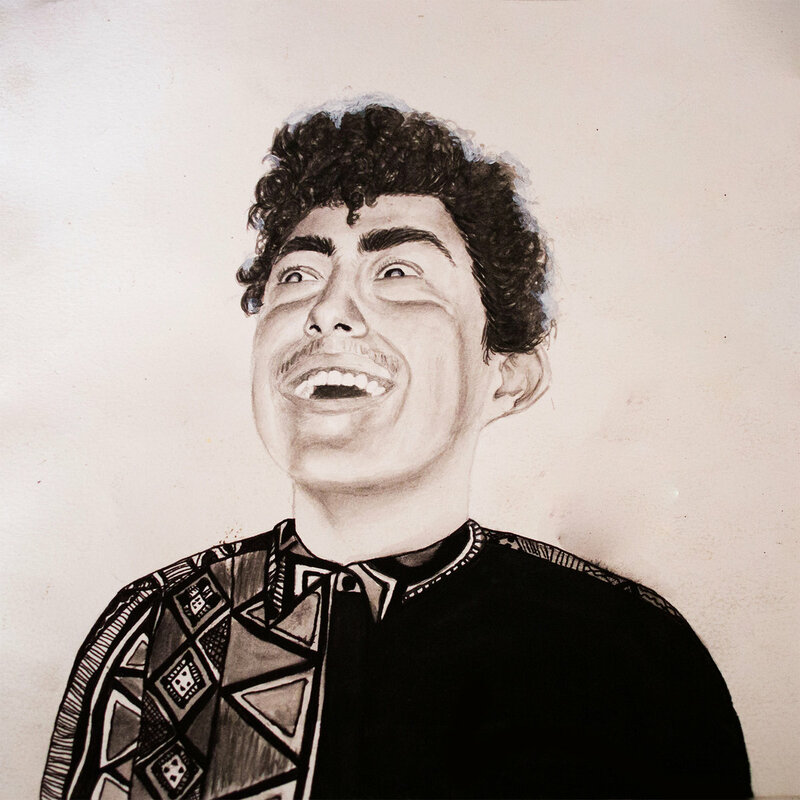 Before Hobo Johnson, he was Frank Lopes, a product of a broken home that caused him to sleep on friends’ couches and in the back seat of his Toyota Corolla, which gave him his vagabond moniker. He was kicked out of his local high school for behavioral problems at the age of 17 and subsequently suffered from a drinking problem that led to stints in juvenile jail. Only after understanding the history that underlines the homespun, DIY rapper that everything about him transforms from something that could be perceived as trying too hard or ironic, to a human being who quirks come from an unorthodox upbringing. It’s a narrative that many people sympathize with, and it’s probably why he has blown up the way that he has. However, Johnson takes that route to the nth degree. It seems that every song of his involves him wallowing in his imperfections or looking back at the broken household that he grew up in. His style and lyricism speak on these subjects in a truly unique way, but even the unique turns monotonous eventually, and I too would like to see him speak on other subjects before he turns into an artist that is defined by certain topics. In conclusion, let me be clear: I am not hoisting Hobo Johnson up to the ranks of other prominent spoken-word artists and rappers of our time. He has just recently broken the surface of Internet stardom and there no telling where how high he will rise, fall, or remain stagnant. But, that being said, his single Tiny Desk submission is nearing four and a half million views (on Facebook he’s surpassed nine million), and it would be ignorant to ignore the chord that his music has obviously struck. But viewership aside, his poetic style has underscored the doubts, anxieties, and pains of modern romance and Millennial struggle in a way that it has never done before. Unconventionality and originality is the heartbeat of NPR’s Tiny Desk Contest, and his work without a doubt merits giving him a spot on it.